Create your TOPModel Doggy. Create the most beautiful designs and fashion for your pets. With this notebook you can draw your sketches and decorate with stickers to give a personal touch. 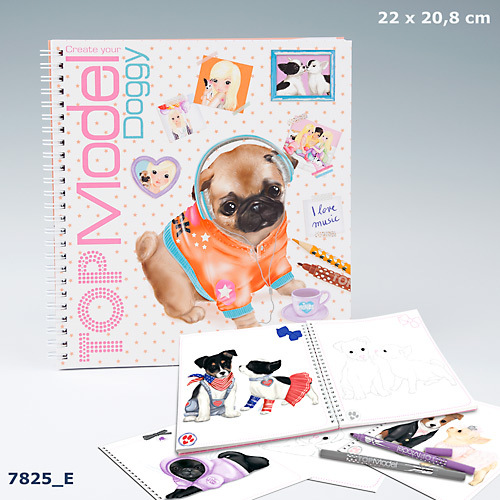 Create your notebook with you to create designs Topmodel Doggy pet chic. In this case all the models are the most beautiful puppies you will find. Complement your designs with stickers that have the book to finish the model created.